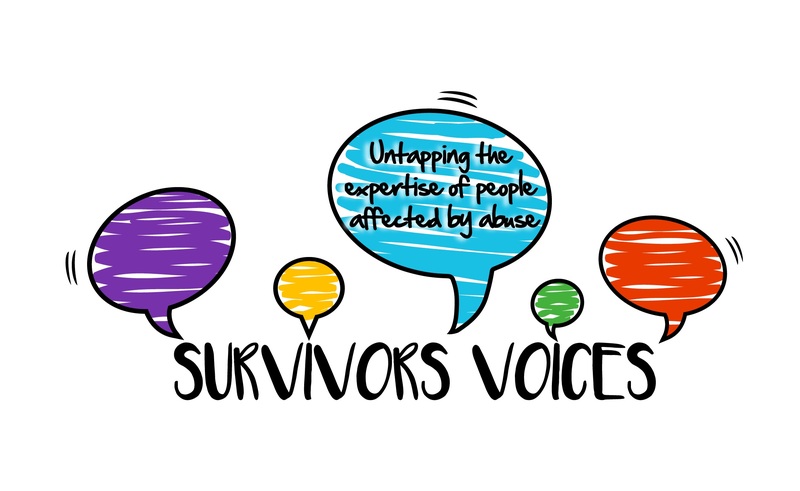 Turning Pain into Power: A Charter for Organisations Engaging Abuse Survivors in Projects, Research & Service Development has been produced by Survivors’ Voices as a result of a uniquely survivor-led research project, in partnership with King’s College London and the Wellcome Foundation. The research group and authors are all ‘survivor activists’ trying to turn the pain of what has happened to them into power that changes things. The Charter is the basis of our forthcoming Quality Mark for any organisation that may be engaging with survivors of abuse (many of whom may be ‘hidden’ survivors). It is currently in its pilot phase and we are gathering feedback to evaluate and maximise the Charter’s effectiveness in creating organisations that practise good engagement with people who have experienced abuse. We are offering the Charter as a free download during this pilot phase because we want it to make a difference – to help make engagement with abuse survivors more safe, meaningful and effective. To download the Charter, please complete the form below which will take less than a minute of your time. You will then be taken to the download page. We offer the Charter as a tool to improve engagement with abuse survivors by individuals and organisations. This includes people you may already know are survivors and ‘hidden survivors’ who are yet to identify themselves. You can use it to plan and evaluate all kinds of projects and relationships, for example service development, communications and marketing, events, research that may involve survivors, delivery of support services, training and professional development. We look forward to hearing how you use it. We are asking for permission to contact everyone who downloads it so we can seek your feedback on what was effective about the Charter and how we can further improve it. How did it inform your thinking and your own individual or your organisation’s practice? If you are a survivor and don’t feel safe giving us your email, you can still download the Charter. Please use the Contact form on this website to send us your thoughts anonymously. If you know someone outside of your team who would like a copy, please do not forward the Charter directly; instead please send them to this page (https://survivorsvoices.org/charter/) so they can download the Charter from here and we can contact them too. Please do adhere to the copyright notice at the bottom of the Charter and thank you for spreading the word! We are asking everyone who feels safe to do so, to provide an email address so we can contact you to gain your feedback about the charter, as part of the pilot. If you are a survivor and don't feel safe to provide an email, please use the Contact Form on this website to give us your feedback. Also look for the link to our anonymous survey which will be in the Charter page shortly. If you are intending to use the Charter in your work, which sector do you work in? We use the Mailchimp automated mailing service. This means your details are held securely and you can unsubscribe at any time. Please help us to avoid spam by confirming that you are human. Please click the "I agree" button below to confirm you are happy for us to contact you about the Charter, as part of our pilot evaluation. Then you will be redirected to the charter, just click on download to save it to your computer. If you have any other comments, please write above. We will be in touch in due course for your feedback about the charter. Thank you.